Juan Ngongo, now just one year old, will be the first in his family to grow up with access to a toilet. Juan lives in the village of Watu Kaula on the island of Sumba (NTT). For generations, his family would defecate in or around a small river that runs beside their house. But not anymore. Juan's family recently attended a triggering session in their village that was facilitated by the local sanitarian with UNICEF support. During these events, health workers demonstrate how easily bacteria from faeces can enter the food chain and cause a variety of health problems. These health problems include diarrhoea and pneumonia – which are chief contributors to more than 370 under-five deaths per day in Indonesia. Juan's mother, Yuliana, says the session was a powerful experience. "It made us aware of all sorts of health risks we were taking with open defecation. So we decided to build a toilet," she says. There are more than 750 households in the village of Watu Kaula. Representatives from most households attended the triggering session and many committed to building a toilet. So Juan's story is just one of many. "Now I feel safe. Now I feel that Juan will be safe," Yuliana says. Dominggus Manna has quite a task ahead of him. 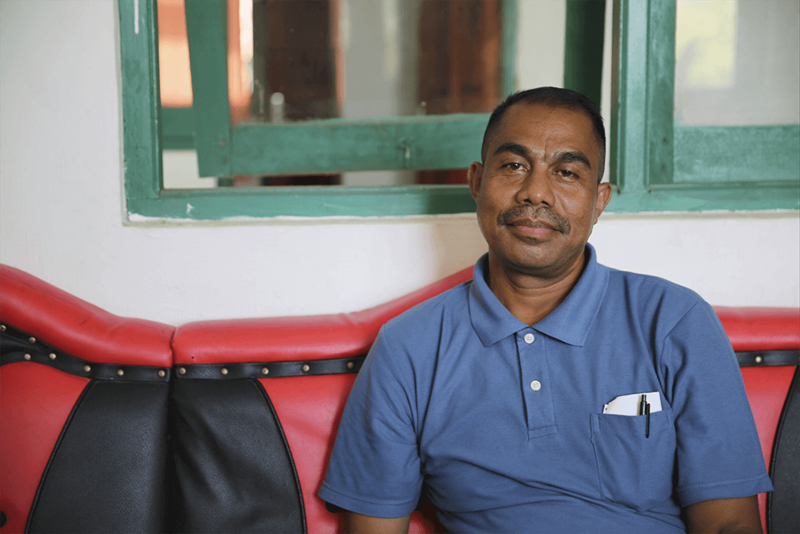 As Head of the Environment Health Section in the Sumba Barat Daya District Government, he oversees sanitation practices in 131 villages. And he wants all of them to be free of open defecation in four years. UNICEF is helping district representatives like Dominggus meet such targets by convening open defecation working groups in Sumba. The working groups bring together various levels of government and other stakeholders to assess the best ways of addressing open defecation. "Currently around 50 per cent of villages practice open defecation," he says. "But over the past year we've already increased the number of families with access to a toilet from 36 per cent to 45 per cent. So progress is looking good." Thanks to vital support from Unilever, UNICEF will keep working to end open defecation in Sumba. The efforts of the PKK appear to be working. That's according to Paulina Robbaka who's the head of the Puskesmas (community health centre) in Watu Kaula village. "The number of children with diarrhoea has reduced significantly since the PKK begun providing training sessions," Paulina says. "Last year at the health center, we saw an average of 50 children every month who got diarrhea. This year we've only seen around 5-15 per month." Paulina credits this to the group's approach of interacting directly with women in the village. 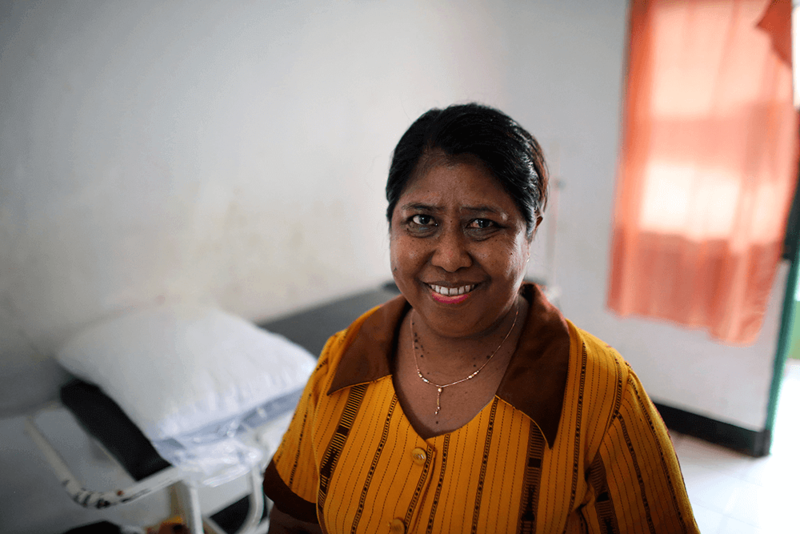 "Wives and mothers can easily talk to their children and family about stopping open defecation," she says.